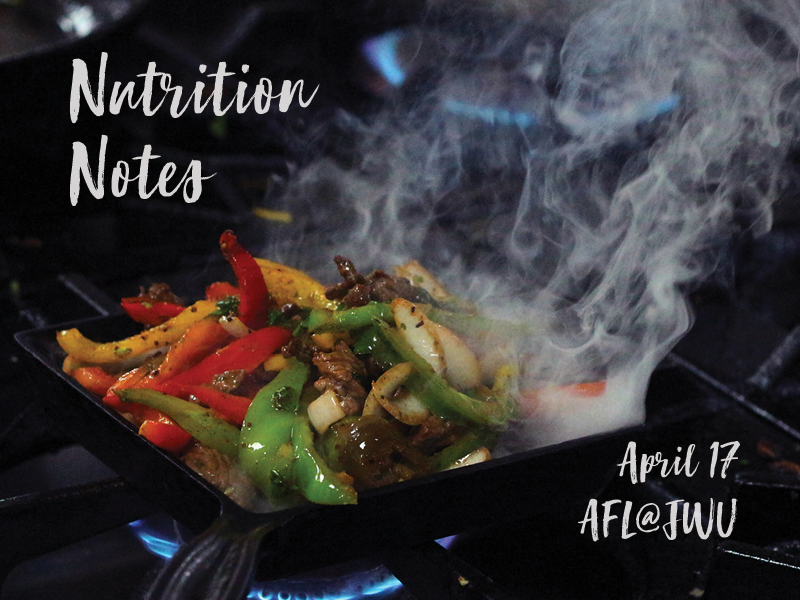 April 17, 2019 – Chef Megan Lambert, MS, RD, Senior Instructor in College of Culinary Arts at Johnson & Wales University, Charlotte, prepared healthy, delightful One-Pan Wonders recipes while Steph Saullo, MS, RD of the UNC Nutrition Research Institute, shared nutrition information on each recipe. 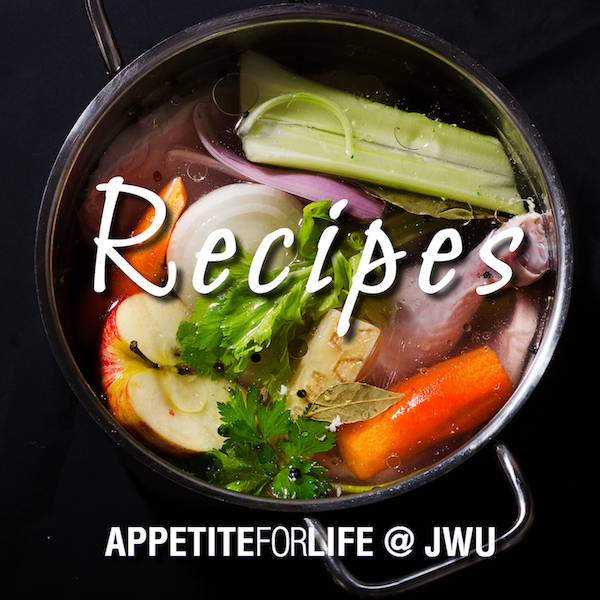 The recipes from the April 17, 2019 Appetite For Life @ Johnson & Wales University program are available here for your cooking enjoyment! 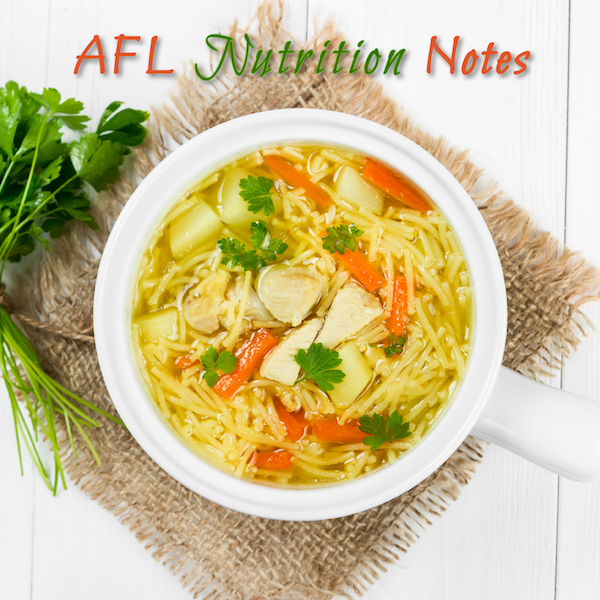 April 17, 2019 – The science on food and nutrients and their relationship to health is complex. Individuals are unique and there are various factors that influence health outcomes. 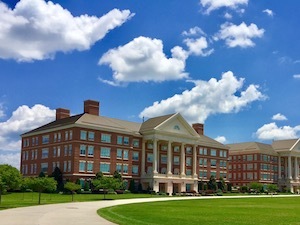 Researchers at the UNC Nutrition Research Institute (NRI) are working very hard to understand the intricacies of diet and nutrients, and their relationship to disease prevention and progression with the goal that general dietary guidance will be replaced with personalized nutrition recommendations. October 17, 2018 – The science on food and nutrients and their relationship to health is complex. Individuals are unique and there are various factors that influence health outcomes. Researchers at the UNC Nutrition Research Institute (NRI) are working very hard to understand the intricacies of diet and nutrients, and their relationship to disease prevention and progression with the goal that general dietary guidance will be replaced with personalized nutrition recommendations. 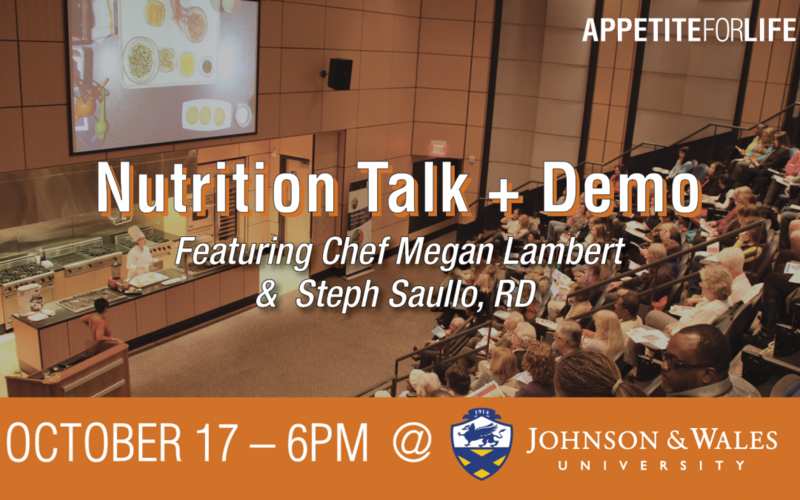 October 17, 2018 – Chef Megan Lambert, MS, RD, Senior Instructor in College of Culinary Arts at Johnson & Wales University, Charlotte, prepared healthy, delightful recipes with “Fun(ctional) Fall Flavors while Steph Saullo, MS, RD of the UNC Nutrition Research Institute, shared nutrition information on each recipe. 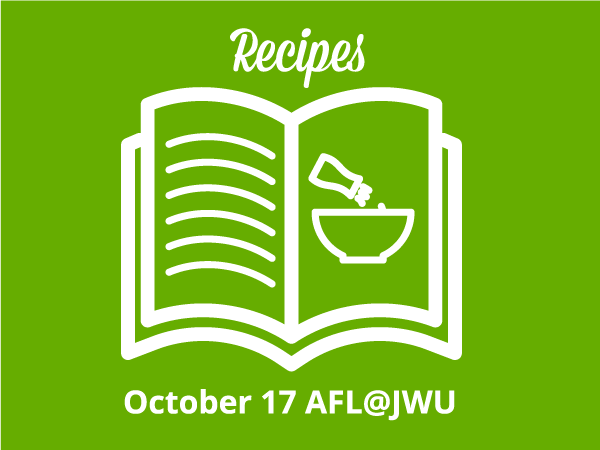 The recipes from the October 17, 2018 Appetite For Life @ Johnson & Wales University program are available here for your cooking enjoyment! April 18, 2018 – Chef Megan Lambert, MS, RD, Senior Instructor in College of Culinary Arts at Johnson & Wales University, Charlotte, prepared healthy, delightful recipes with chicken while Steph Saullo, MS, RD of the UNC Nutrition Research Institute, shared nutrition information on each recipe. 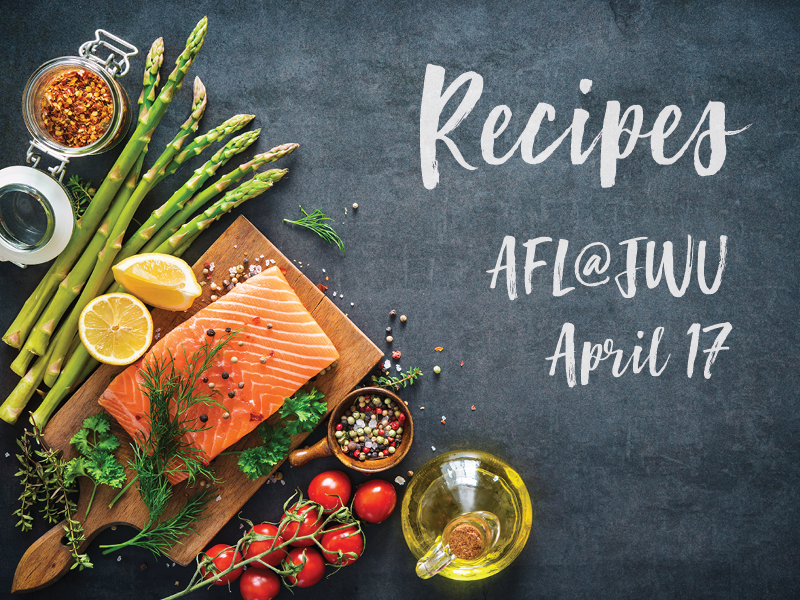 The recipes from the April 18, 2018 Appetite For Life are available here for your cooking enjoyment! April 18, 2018 – The science on food and nutrients and their relationship to health is complex. Individuals are unique and there are various factors that influence health outcomes. Researchers at the UNC Nutrition Research Institute (NRI) are working to understand the intricacies of diet, nutrients, and their relationship to disease prevention and progression with the goal that general dietary guidance will one day be replaced with customized nutrition recommendations. Current research suggests following an overall healthful diet, rich in plants, that emphasizes fruits and vegetables, whole grains, lean protein, and unsaturated fats, and staying physically active may best support good health. In this program we consider the health benefits of chicken. 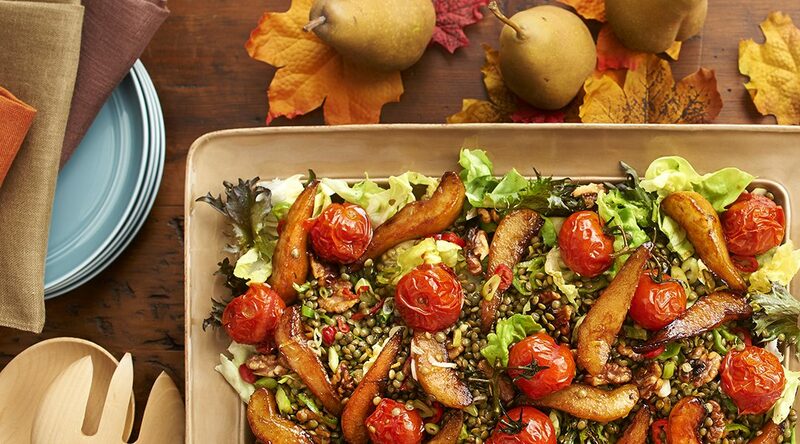 December 29, 2017 – This fresh New Year salad combines the natural sweetness of caramelized pear and roasted tomato, with earthy lentils and tender butter lettuce. Finished with lemon zest, olive oil and balsamic vinegar, this elegant salad lends starts the New Year off on a healthy note. 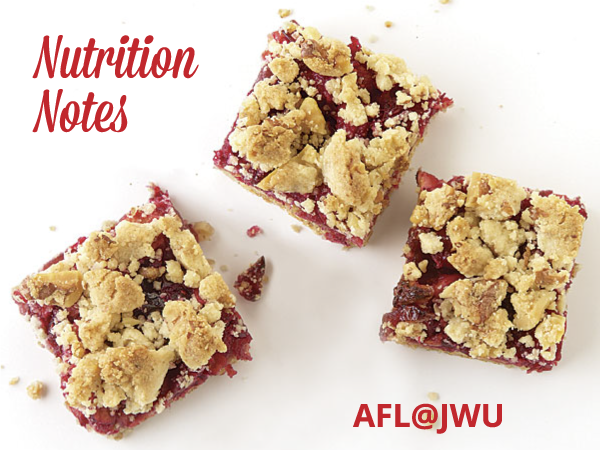 December 29, 2017 – A great recipe to get your day started! October 17, 2017 – The science on food and nutrients and their relationship to disease is complex, especially related to cancer. Cancer in and of itself is a complex disease that is not fully understood. 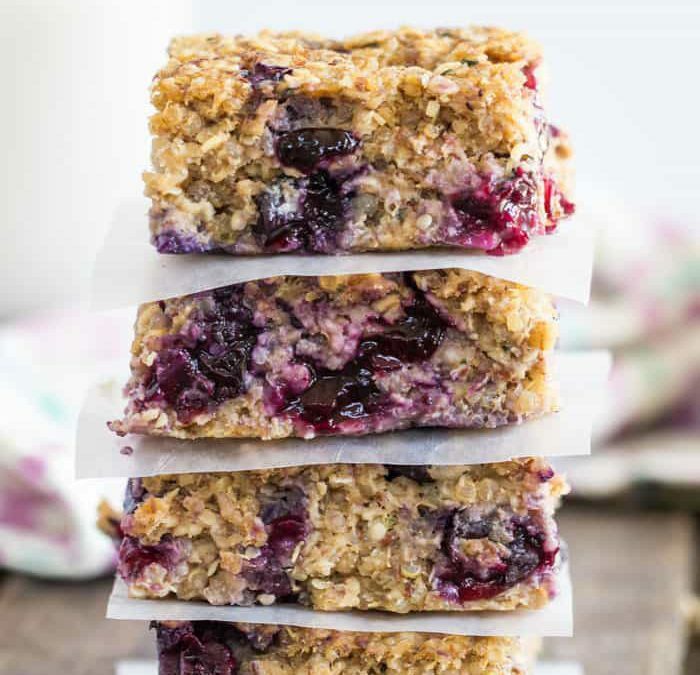 As consumers, we often find ourselves inundated with the latest nutrition “story of the day” and often that story conflicts with a headline we may have seen only a week before. This simply makes trying to differentiate science and nutrition guidance more confusing. Scientists at the UNC Nutrition Research Institute (NRI) are working very hard to understand the intricacies of diet, nutrients, and their relationship to cancer prevention and progression. October 17, 2017 – Chef Megan Lambert, MS, RD, Senior Instructor in College of Culinary Arts atJohnson & Wales University, Charlotte, prepared healthy, delightful recipes while Steph Saullo, RD of the UNC Nutrition Research Institute, shared nutrition information on each recipe. 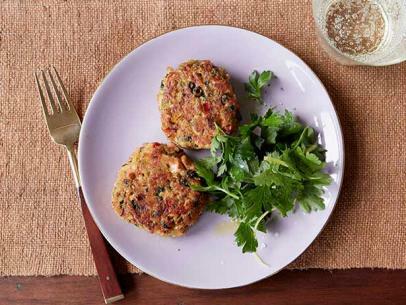 The recipes from the October 17 Appetite For Life are available here for your cooking enjoyment!